There seems to have been a watermill on this site since medieval times. 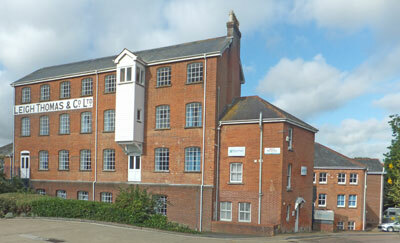 The Thomas family appear to have bought the mill in the early 19th century and started to modernise it. The mill was probably rebuilt in brick at this time and the water wheel replaced by a more efficient turbine. The mill continued to produce flour through the 20th century although it changed from water power to being powered by electricity. The mill closed in the 1970's and the building renovated to form Millcourt Business Centre occupied by a number of businesses.